The advent of global trade and travel has had many benefits, but has also occasioned some annoying liabilities. As goods are being shipped around the world, pests have a tendency to hop along for the ride. In response to the continuing spread of wood destroying pests, the European Union has initiated measures to mitigate further destruction. The ISPM was developed by the International Plant Protection Convention (IPPC) that sets the standards for treating solid wood packaging materials used in international trade. The standards apply to all wood packaging materials including pallets, crates and dunnage. The regulations require that all such wood be either debarked and heat treated or fumigated with methyl bromide, and then stamped on two opposite sides with a compliance indicator known as the "no bug stamp" or the "wheat stamp." Manufactured wood products like plywood, OSB and particle board are exempt. Each country is responsible for administering and monitoring their own program. In the US it is administered by the American Lumber Standards Committee or ALCS. Fumigation - using methyl bromide. This method is less commonly used. Many countries such as Finland ban wood from this form of treatment since using methyl bromide for this purpose is prohibited. Heat Treatment (HT) - is the most common treatment form. With this method packaging materials are heated according to a schedule that produces a minimum core temperature of 56 degrees centigrade for a minimum of 30 minutes. The ISPM-15 requirements apply to all species of coniferous (softwood) and non-coniferous (hardwood) packaging materials. The vast majority of developed countries are signatories to the agreement and require treatment of wood packaging materials. In 2001, the Commission of the European Communities adopted a defensive, anti-pest emergency measure that requires treating and marking of all new and used coniferous (e.g. pine, spruce, fir) non-manufactured wood packing material (NMWP) originating in the United States, Canada, China, or Japan for export to the EU nations. The restrictions were put into effect to prevent the introduction of the pinewood nematode, a microscopic eelworm which has caused devastation to pine forests in Japan and China. Since shipments not meeting these requirements may be quarantined or rejected by the recipient nation, it's imperative to have your products packaged to meet or exceed acceptance standards. It's another reason to chose a reliable, qualified company like Larson Packaging Company who can manufacture your crates and other packaging needs to meet the ISPM-15 standards for all goods shipped internationally. Larson Packaging Company has selected the heat treatment option for our products. We fully comply with the EU HT program and are audited on a regular basis. We provide the appropriate "no bugs" stamps to ensure customs compliance. 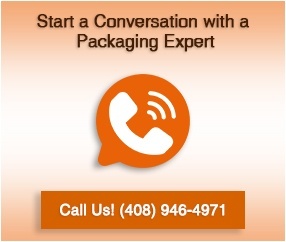 Contact us to find out about our packaging solutions.